What Do Solar Financing and Transformer Monitoring Have in Common? Not much, but they are both topics featured in our 20% off report sale this week. The GTM Research team is embracing the holiday spirit early this year. 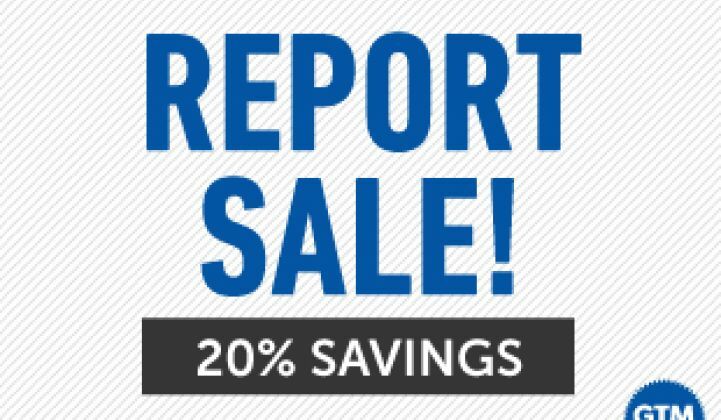 For this week only, save 20 percent on nearly all GTM Research reports published in 2013. Below is a list of the reports included in this limited-time offer. Click on the name of the report for more information. The 425-page report profiles 66 global vendors, forecasts demand into 2017 by market segment, and provides detailed economic and technological analysis of the PV monitoring market. This 112-page report on the latest c-Si PV wafer, cell, and materials technology aims to provide a competitive outlook on the leading technology and cost trends through 2017. Also comes with Excel model. This 73-page report provides visibility into solar PV market activity and potential in Belize, Costa Rica, El Salvador, Guatemala, Honduras, Nicaragua, and Panama. This 225-page report includes an outlook on advanced inverter technologies, technology cost forecast, market hospitality by region, vendor rankings, and global shipment forecasts by technology. Our most popular report this year, at 21 pages it provides an integrated look at the vendors, installers and financiers addressing third-party residential markets across thirteen states. Latin America and the Caribbean will install 450 MW of grid-connected PV in 2013, compared to less than 100 MW in 2012. Learn more about this burgeoning market in this 110-page report. This 103-page report examines energy scenarios driving solar growth in the MENA region and examines the current and projected solar policies by country. The report also offers project details for each market and demand forecasts through 2017. At over 300 pages, this report covers various HEMS topics including DR, analytics, and the backend systems used by utilities to manage residential loads. This 96-page report explores the global smart grid market, which is forecasted to surpass $400 billion by 2020. This 142-page report provides in-depth market forecasting, vendor and utility landscapes, and coverage of market drivers and AMI maturity, as well as vendor rankings and 26 intensive vendor profiles. This 219-page report provides insight into the strategies utilities are employing to improve efficiency and reliability. Also included are 40 in-depth profiles of leading North American utilities. The transformer monitoring hardware market will grow to $755 million by 2020. We analyze both the technology and the competitive landscape in this 150-page report. 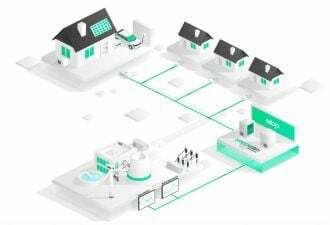 The industry's compendium of leading players, vendor rankings, competitive positioning and market forecasts across twelve key smart grid segments. This 133-page report is the first of its kind to take a competitive and strategic look at the smart grid market's next big growth market. Act quickly, because these prices will only last until November 23.